This book offers a highly accessible introduction to natural language processing, the field that supports a variety of language technologies, from predictive text and email filtering to automatic summarization and translation. With it, you'll learn how to write Python programs that work with large collections of unstructured text. You'll access richly annotated datasets using a comprehensive range of linguistic data structures, and you'll understand the main algorithms for analyzing the content and structure of written communication. 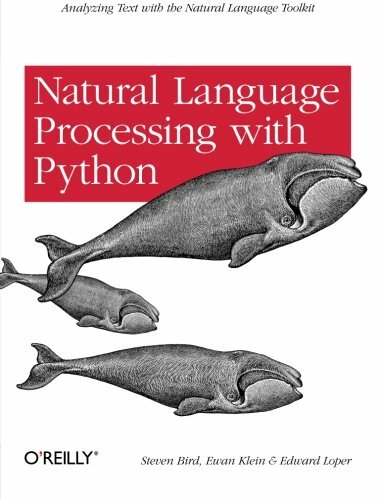 This book will help you gain practical skills in natural language processing using the Python programming language and the Natural Language Toolkit (NLTK) open source library. If you're interested in developing web applications, analyzing multilingual news sources, or documenting endangered languages -- or if you're simply curious to have a programmer's perspective on how human language works -- you'll find Natural Language Processing with Python both fascinating and immensely useful.